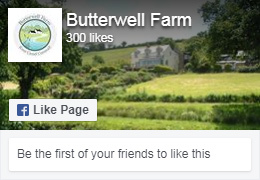 Butterwell Estate Limited (“Butterwell”) is committed to protecting the privacy and security of your personal information. Butterwell is a “data controller” and is responsible for deciding how we hold and use personal information about you. We only collect the following data. Organisation, Title, First Name, Initial, Last Name, Address, City/Town, Post Code, County, Province, Country, Telephone Number, Mobile Number, Fax Number, Email Address, Customer Password (encrypted), Mailing list preference, Language, Nationality, Car Registration. We do not collect any particularly sensitive personal information as a matter of policy unless in extreme circumstances to comply with legal obligations. In this eventuality we will always seek consent to do so. We collect personal information from you when you are booking accommodation or fishing with us either directly or indirectly through our website or via a booking agent or via direct contact by email or telephone. – to comply with any other legal obligations. Your Personal information will never be used or provided to a third party for any other purpose. – Secure payment service provider to facilitate your payments: Sagepay. We have in place security measures to prevent your personal information being lost, used, altered, accessed or disclosed in an unauthorised way. Third parties have confirmed their security arrangements and will only process personal information on our instruction and are subject to normal duties of confidentiality. We will only retain your personal data for as long as necessary to fulfil legal obligations, although we will retain contact details of customers who have chosen to receive our newsletter until such time as they choose to unsubscribe. – Withdraw consent to the use of your personal data.